Location, location, location. No matter what you do to improve your property, your neighborhood will always have a say in the value of your home. Redoing your bathroom, throwing on a fresh coat of paint or replacing your roof may be obvious steps in making your home more appealing, but no cosmetic improvements will increase its market worth if no one wants to live in your neighborhood. With the housing market in its current sad state, it's the perfect time to embrace a newfound sense of community rather than retreating deeper into the four walls that you call your own. Home may be where the heart is, but the neighborhood you live in is where that heart is firmly planted. Your neighborhood must be cared for, and tended to as if it were you own, because, quite simply, it is. Think of it as leading by example. Look to your home, and yourself, first and think of what you can do to make your home more aesthetically pleasing. Complete a few simple fixes. You don't have to call in a contractor, or a painting crew, but consider touching up your trim, throwing up a new set of gutters or maybe even something as simple as installing a new mailbox. Not only will your neighbors see you doing the work, they'll envy the result. Most everyone has pride in their home, and you'll find that home improvement can be contagious. You don't have to be Mr. Rogers to open up a dialogue with your neighbors. Remember, Christmas decorations aside, you're in this together. Find out what your neighbors want to do to improve their homes so you can approach contractors and landscapers to get reduced rates as a small group. Everyone brings a different skill set to the neighborhood table, so work together to achieve the common goal of neighborhood improvement. Think of it as Stone Soup for the white picket fence. Cleanliness is next to Godliness, and word is that God is an amazing real estate broker. Make it a point to keep the neighborhood free from litter, no matter how seemingly insignificant. Street cleaning should happen once a week, but that shouldn't stop you from making a point to pick up random trash. It's good for you, it's good for the environment and it's good for the neighborhood. The housing boom, and subsequent bust, left many homeowners in houses that sit in neighborhoods with empty lots that were waiting to be built on. They're not your responsibility, but an Amazonian jungle will stand out even more next to your manicured lawn. You don't have to tend to it as if were the infield at Fenway Park, but if you notice that the lot across the street has gone unchecked you'll be amazed what a little time with a weed whacker can do. One key to increasing the value of your neighborhood is bringing in other owners rather than renters. Renters are fantastic, but they simply don't have the same investment in the properties and neighborhood that owners do. 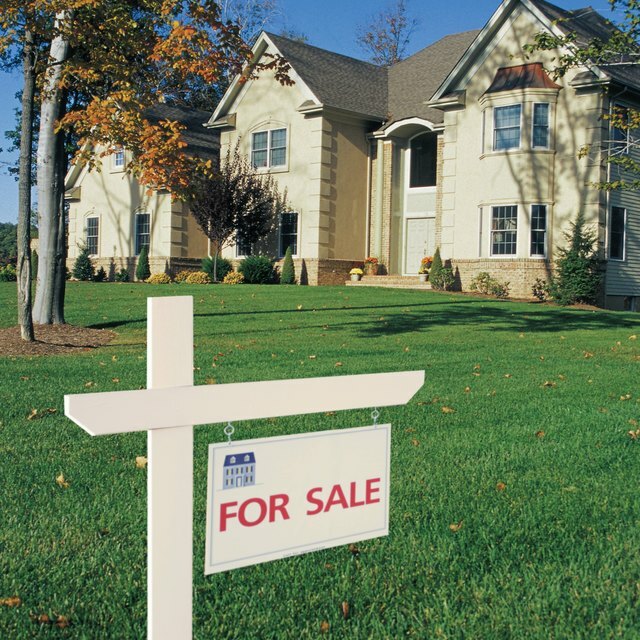 Develop a relationship with the real estate agents that are working in your neighborhood. It may not be the same as yours, but they have a vested interest in getting vacant houses sold. Find out when the open houses are, and share tips and advice with the agents. At the very least, in the end you may learn something from each other. Your yard not only speaks volumes about your home, but your neighborhood as well. You don't have to be a greenskeeper to appreciate a relatively well-manicured lawn, but if you're going to do it right it's going to take a little more than dusting off the mower each weekend. Adding young trees, or shrubs, and maintaining existing growth doesn't take that much work, but the effort goes a long way. Families, or couples that are planning on starting a family, will look to the area school system as a key factor in deciding whether or not they want to settle down in a neighborhood. Even if you don't have school-aged children, taking an active interest in the upkeep, progress and unavoidable politics of the neighborhood schools is an excellent way of helping your neighborhood reach, and maintain its maximum potential. A safe neighborhood is an attractive neighborhood. Get together with your neighbors and either form a neighborhood watch, or push your local representatives for better, and more visible, enforcement. You don't need a SWAT team standing at the ready, but there is an undeniable peace of mind that comes with even a seemingly innocuous late-night patrol. Potholes and cracked or buckled sidewalks are vexing enough for you, so you can imagine what a potential home buyer is going to think if the roads are rim-bending tank traps. Take the time to sit in on a city council meeting and lobby for street repair. A few choice words mixed with a little persistence makes for an all-around smoother ride. Parks and playgrounds usually fall under the auspices of the local government, but that doesn't mean that you and your neighbors shouldn't take a personal interest in their upkeep. Cultivate community pride in these common areas. Work together so that nothing slips through the cracks and these areas stay both clean and safe.